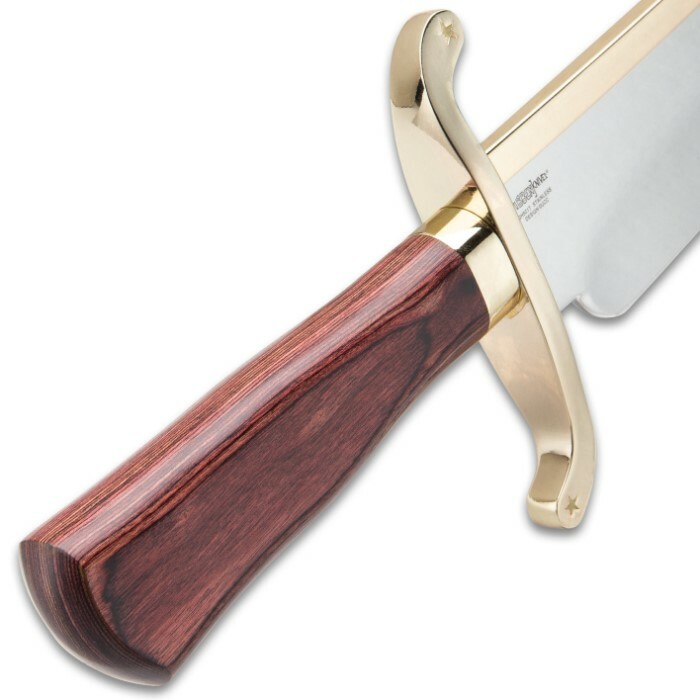 Knifemaker extraordinaire Gil Hibben continues to design exceptional knives made for hard everyday use and the Gil Hibben Old West Bowie Knife - Bloodwood Edition takes it even further! Take it with you into the most untamed environments and use it under the harshest conditions. 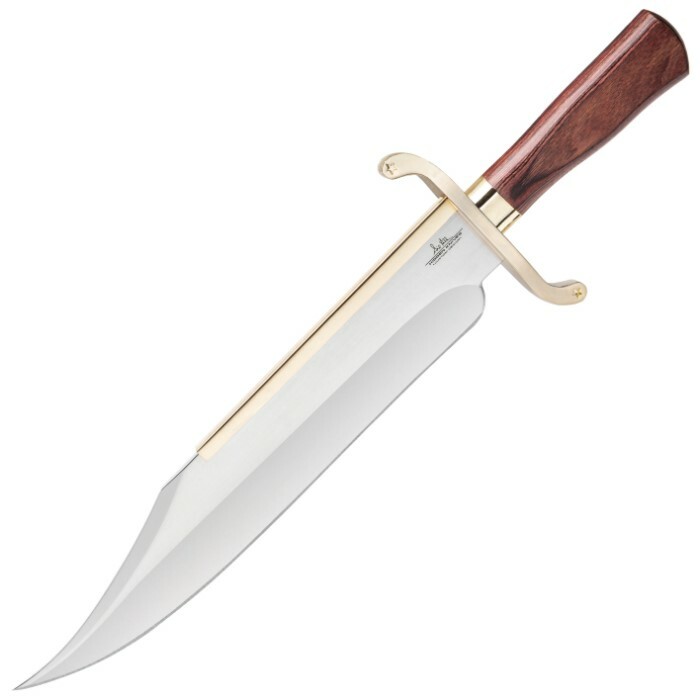 It has a keenly sharp, 14" stainless steel clip point blade with a high-polish finish and a beefy profile. 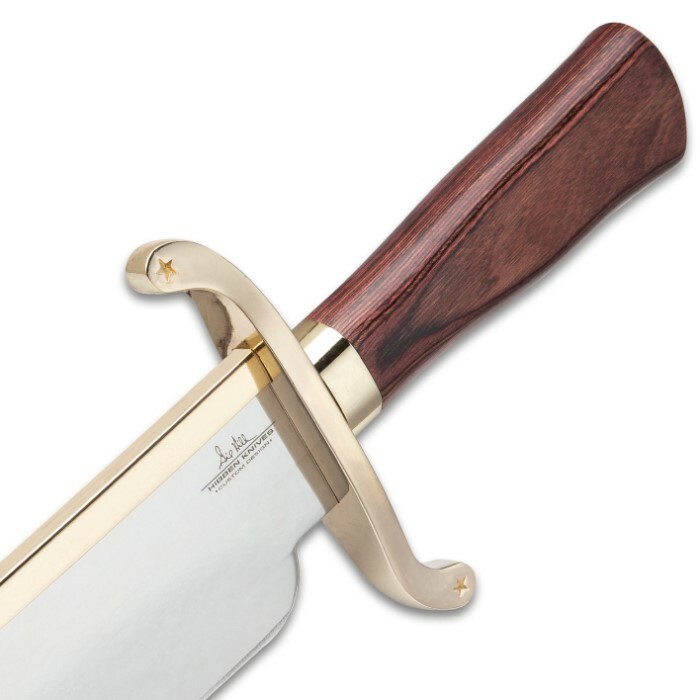 The red-brown, natural-look wooden handle is complemented by a gold-plated blade catcher and handguard. A custom leather belt sheath protects and stores the massive bowie knife. 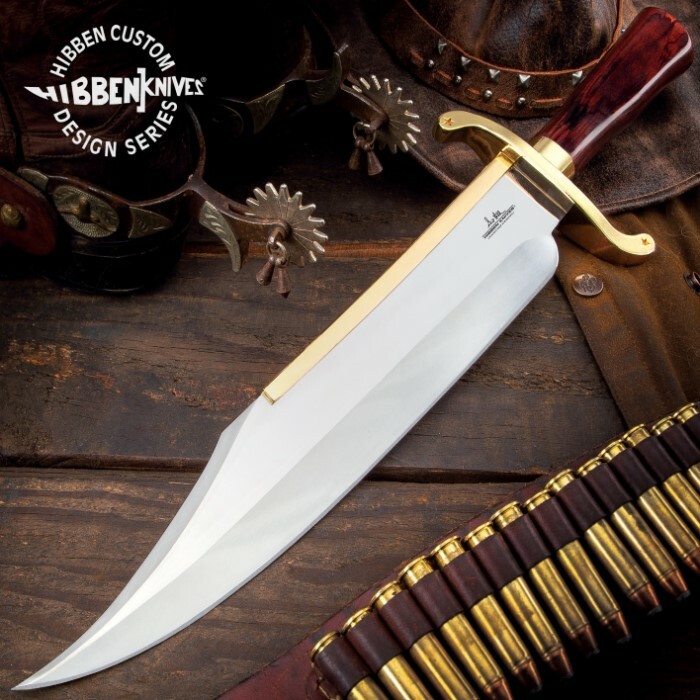 This is a design, which has been reimagined by Gil Hibben, and brought back for a very, very limited time. Don’t let this one get away! I have wanted this gorgeous knife for a very long time, but it was not available until recently. I saw it on bud K and had to grab one right away. It is an absolutely beautiful, stunning, massive knife With a beautifully shaped blade and sweeping clip point. The wooden handle is beautiful as well. Very nice looking black leather sheath as well. I have a large collection of bowie knives, and this is definitely one of my favorites. This thing is simply gorgeous. Just received today and the pictures don’t do it justice. Fit and finish is impressive and it came relatively sharp. An eye-catcher for sure. Bought for collection/display so toughness and durability are unknowns. Maybe the good folks at BudK will do a YouTube video of this version? As with my other BudK purchases, it was well-packaged and shipped quickly. 5 stars.